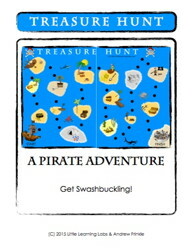 Designed as a companion activity to go with the ABC's Trading Cards, this game has a 11x17 board game surface you play with, rules, and tokens for 9 different players. 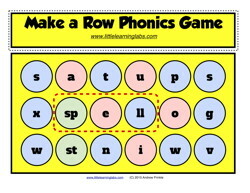 In full color for more fun, it allows students to practice words that start with different letters. 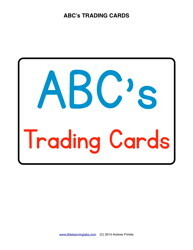 Alternate rules are included in case you don't want to use the 250 ABC's Trading Cards Set. 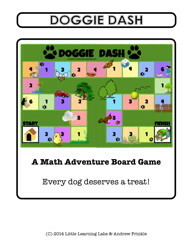 This is a great math game. It can be played from 1-6 players. There is some assembly required if you want to use the "quiet dice" made out of paper. There are 12 characters you can use, in case someone loses a few. The board is 11" x 17" made in two halves on standard paper. Print this in color for WAY more fun. NOW AVAILABLE IN PRINT COPY ON AMAZON! 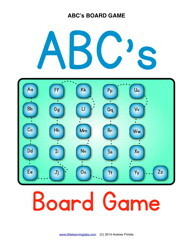 This is a great basic skill and strategy game. It can be played from 1-6 players, but it's probably best for 2-4. There is some assembly required if you want to use the "quiet dice" made out of paper. There are 12 characters you can use, in case someone loses a few. The board is 11" x 17" made in two halves on standard paper. Print this in color for WAY more fun. 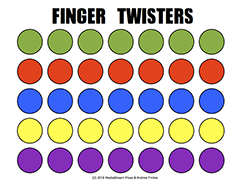 This is a very versatile tool for teaching. 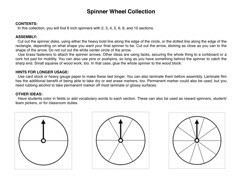 You have spinners divided into 2, 3, 4, 5, 6, 8, or 10 sections. You can use them for choosing students, vocabulary words, team selection, games, or just about anything you can come up with! They print in black and white, with 6" spinner disks, or 7" squares, if you want the border around them. Attach the spinner arrow with brass fasteners or any other method you can come up with. Make them with card stock and/or laminate for long use! This is a great basic skill and strategy game. It can be played from 1-6 players, but it's probably best for 2-4. There is some assembly required. You need to use the 6 included "quiet dice" made out of paper, because they are not standard dice. There are 8 characters you can use, in case someone loses a few. The board is 11" x 17" made in two halves on standard paper. Print this in color for WAY more fun. You also have to cut out 99 game cards! NOTE: Due to file size constraints, I had to remove several pages. These were the extra copies of the cards. Print multiple copies of the cards, especially some of the smaller number cards. You can print the backs if you want to, but they're not necessary. 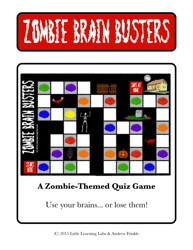 This Halloween and Zombie Themed Board Game is very versatile and easy to play! All it takes is a printer, scissors, and tape! The thing is, the question cards are blank! Put whatever topic or subjects you want on the back! 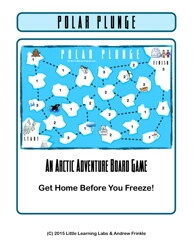 Move up to 6 players across a game board from the start to the finish. As you go, dice rolls might make you land on some brain card squares. Draw a card of that color and correctly answer the question to move forward 1 space or get it wrong and go back 1.